Everest captures the media's attention like no other mountain. Here are some facts, figures and background information to help anyone reporting about Everest. The world’s highest mountain straddles the border between Nepal and Tibet in the Mahalangur Himal, which extends between the Nangpa La pass in the west and the Arun river in the east. In 1856, after years of painstaking work by the Great Trigonometric Survey measuring and calculating the height of what became known as Peak XV, the surveyor-general Andrew Waugh announced it was most probably the highest in the world at 29,002ft. (His calculations suggested 29,000ft, but that looked too neat.) The modern agreed height is 29,029ft or 8,848m. Despite a policy that local names should be sought, the Royal Geographical Society (RGS) decided to name the mountain in honour of Waugh’s predecessor, Sir George Everest, whose name is in fact pronounced Eve-rest. A local name had been recorded in the 18th century on a map of Tibet – Chomolungma. Tibetan names are notoriously hard to translate. Chomolungma can mean Goddess Mother of the Earth, a reference to the deity Miyolangsangma who inhabits the mountain – one of five sisters of long life. The Nepali name Sagarmatha, a Sanskrit term meaning ‘brow of the sky’, was adopted by the authorities in Kathmandu in the 1960s. Sir Edmund Hillary and Tenzing Norgay reached the summit on 29 May 1953 as part of the British expedition led by Lord John Hunt. How many people have climbed Everest since? As of February 2014, there had been 6,871 ascents of Everest by 4,042 different climbers, meaning some climbers, most of them Sherpas, have reached the top multiple times. Two Sherpas, Apa and Phurba Tashi, hold the record for the most ascents – 21. Apa got there first in 2011. Kenton Cool holds the British record for multiple ascents, having reached the summit 11 times, two of them within a week in 2007. Among the hundreds of ‘firsts’ on Everest, some ascents stand out for climbers as particularly noteworthy. 1921: The first expedition to Everest was a reconnaissance to locate the best route up the mountain. 1922: George Mallory, Edward Norton and Howard Somervell became the first climbers to reach more than 8,000m. Later in the expedition, Geoffrey Bruce and George Ingle Finch used bottled oxygen to reach more than 8,300m. 1924: George Mallory and Andrew Irvine disappear going for the summit in mountaineering’s most enduring mystery. 1953: First ascent on 29 May by Edmund Hillary and Tenzing Norgay as part of British expedition led by John Hunt. 1963: First ascent of the west ridge and first traverse of the peak by Tom Hornbein and Will Unsoeld. 1975: Junko Tabei is the first woman to climb Everest. 1975: First ascent of southwest face of Everest by British team led by Sir Chris Bonington. Doug Scott and Dougal Haston reach the summit on 24 September. The first ascent by British mountaineers. 1978: Peter Habeler and Reinhold Messner are the first climbers to reach the summit without bottled oxygen. 1980: Reinhold Messner climbs a new route on the north side alone and without bottled oxygen in one of mountaineering’s most impressive achievements. 1988: A small Anglo-American team climb new route on east face. Stephen Venables becomes first Briton to climb Everest without bottled oxygen. 1993: Rebecca Stephens is the first British woman to climb Everest. 1995: Alison Hargreaves becomes second woman to climb Everest without bottled oxygen while climbing north ridge alone and unsupported by sherpas. The range of ages among those who have climbed Everest is staggering. The oldest person was Yuichiro Miura from Japan at 80 in 2013, while the youngest was American Jordan Romero at 13 in 2010. A number of disabled climbers have reached the summit, including blind American Erik Weihenmayer in 2001 and double amputee Mark Inglis from New Zealand in 2006. Overall, 265 people have died on Everest, between 1922 and 2014. 159 have died on the Nepali side, while the remainder died on the Tibetan side. Of the deaths in Nepal, 77 were of non-Nepali nationals, while 82 were Nepalis, the vast majority from the Sherpa ethinic group. On 18 April 2014, 16 high-altitude workers, including 13 Sherpas, were killed in the Khumbu Icefall below Camp 1 following a serac collapse on the mountain’s west shoulder. It was the worst single loss of life in the mountain’s history. Despite this tragic loss of life, the fatality rate on Everest has been dropping in recent years, both for foreign climbers and hired high-altitude workers. According to the Himalayan Database – a useful resource for research on Everest – there were 61 deaths between 1950 and 1999 among high-altitude workers, a death rate of 1.52%. Between 2000 and 2014 there were 31 fatalities among high-altitude workers, a death rate of 0.57% – based on the number of journeys through the icefall. Most expeditions to Everest take around two months. Climbers start arriving at the mountain’s base camps in late March. On the more popular south side, base camp is at around 5,300 metres and sits at the foot of the icefall, the first major obstacle. Most clients will only go through this shifting maze of ice two or three times, whereas Sherpas can do it up to 30 times in the course of a season. Clients now acclimatise on other peaks. The next major staging post is Camp 2, at the mouth of the Western Cwm, sometimes called advanced base. From there climbers continue to Camp 3 and Camp 4 on the South Col. Sherpas rarely stay at Camp 3, since it is exposed to rock fall. Summit day, usually a date in mid May when temperatures are warmer and winds milder, actually begins at around midnight. Climbers aim to be on the summit in the morning, with plenty of daylight left to get down before nightfall. Almost all of those who now climb Everest use the services of commercial expedition operators. These vary quite widely in price. A western company, which still relies on local high-altitude workers, will charge around $60,000 to $65,000. This will include the services of a western guide who lead the expedition and a high ratio of support climbers, usually Sherpas, to clients. Local expeditions charge less, around $35,000 for a well-run, properly supported climb. In recent years, new local operators have been offering Everest for much less than this, raising concerns about levels of pay for Sherpas and safety standards. All expeditions are required to pay for helicopter insurance for their staff as well as mandatory life insurance, which was recently increased, although not sufficiently in the eyes of many high-altitude workers. A significant cost on Everest is government taxes and fixed charges. The peak fee is paid to the Nepali government and for the popular spring season is set at $11,000 per climber. Each climber and western guide has to pay $600 each to the Sagarmatha Pollution Control Committee whose ‘ice-fall doctors’ fix the route through the Khumbu glacier into the Western Cwm. This generates over $200,000, some of which is spent on environmental improvements throughout Khumbu. Fixing ropes on the upper portion of the mountain costs $200 per head; this is organised by western operators. Each team requires a liaison officer (LO) most usually provided by the tourism ministry. They are often civil servants from other ministries without the training or experience to cope with high mountains. Most either don’t come to base camp at all, or else don’t stay long. An LO costs $2,500 plus a round-trip flight from Kathmandu to Lukla. Since the early 1920s, a debate has raged about the use of bottled oxygen. Before the 1922 expedition Arthur Hinks of the RGS said those using oxygen below 25,000ft would be ‘rotters’. In the modern era, most ascents of Everest are done with bottled oxygen. They also climb ropes fixed in place by high-altitude workers, who carry tents and other equipment and supplies, including oxygen bottles up the mountain. In recent years there has been concern that inexperienced climbers are being allowed on Everest. The BMC hopes that lightweight, alpine-style climbing will remain an option on Everest and other 8,000m peaks. 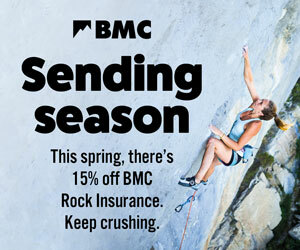 The BMC believes that climbers should be sufficiently experienced to join an expedition on Everest. Significantly, the first expedition to carry and use a laptop computer at basecamp to manage team and climber logistics, contributing to the largest number of "summiters" from a single expedition up to that time.